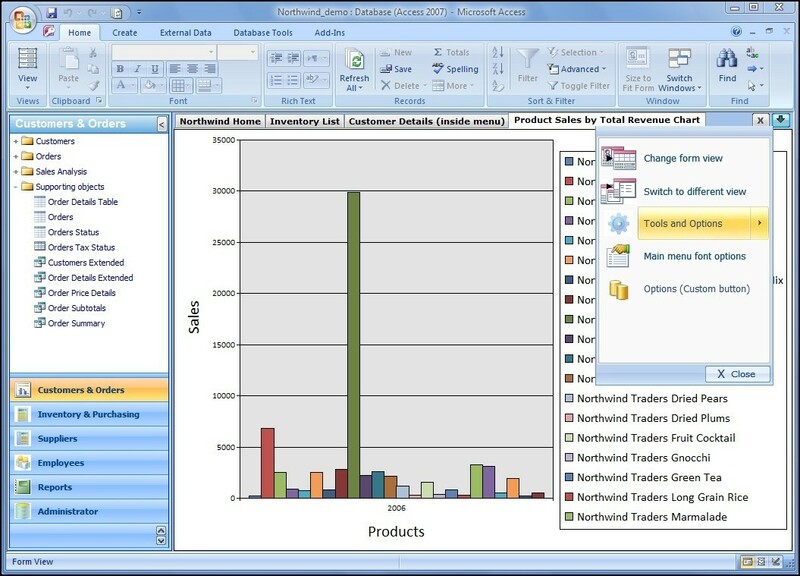 Access Object Navigator 3.0 is a complete user interface for Access database solutions. It is an Access add-on that provides you with the Outlook-like navigation bar/pane where forms, queries and tables open in tabs. You can also use a built-in user permission control system and the built-in security. This powerful tool makes Access databases better, more professional looking, easier to use, and above all, it decreases development time. dbForge Studio for SQL Server - dbForge Studio for SQL Server is an integrated environment for SQL Server development, management, administration, data reporting, analysis, version-control database changes and test data generation. Geodata International - Geodata International - World-wide database of countries with georeferenced towns, municipalities, postal codes and administrative units with WGS84 and UTM coordinates and elevations for geocoding, proximity search, navigation, distance calculation. Entity Developer - Entity Developer is a powerful ORM designer for ADO.NET Entity Framework, NHibernate, LinqConnect, Telerik Data Access, and LINQ to SQL.